A special kind of love in So Big! 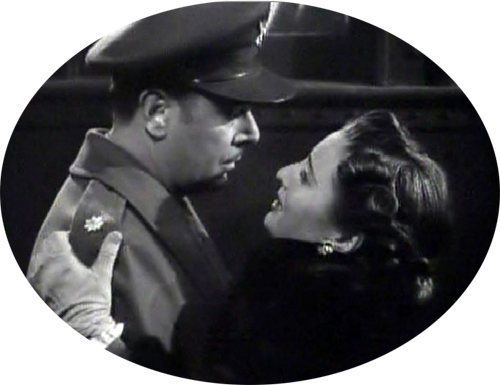 Playing characters invariably down on their luck (spiritually, financially, or morally), Barbara Stanwyck teamed for the big screen in five romantic dramas with George Brent. Mr. Brent’s characters were almost always the romantic interest, without whom Ms. Stanwyck’s characters would not have risen to a healthy moral, emotional, and/or financial standing. He was in a way a knight in shining armor (sometimes the armor taking the form of a farmer’s dungarees, as in 1932’s The Purchase Price; a business man’s suit and tie, as in 1933’s Baby Face and 1942’s The Gay Sisters; or a soldier’s uniform, as in 1946’s My Reputation). The one exception to this pattern for their characters’ relationships occurs in their first movie together, in 1932’s So Big!. A good deal of mutual love connects the two in that picture, but it’s a Platonic kind of love where Mr. Brent plays the role of a world-renown artist whose success is due more than anything to the encouragement and inspiration he received as a child from the sympathetic school teacher-turned-farmer Barbara Stanwyck played. I love watching George Brent movies. There was something about him; something beyond his handsome face. He just draws me in to whatever character he played. Barbara Stanwyke was such a wonderful actress.